The healthcare services industry in Malaysia is a thriving and growing sector which benefits both locals and foreigners alike. Malaysia’s vision for health is to create a seamless and integrated healthcare system that delivers quality care and is reliable, equitable and affordable for everyone. The healthcare industry encompasses hospital services and medical and dental services. The value chain of the health services sub-sector includes the manufacture, provision and distribution of pharmaceutical products, medical equipment and devices, health insurance, research and development (R&D), and education and training of medical personnel. Malaysian healthcare service providers are capable of providing elective and curative procedures in a wide field of specialisation, including orthopedics, obstetrics and gynecology, ophthalmology, cardiothoracic surgery, cardiology, gastroenterology, oncology, pathology, hepatobiliary and in-vitro fertilisation. As a result of excellent healthcare infrastructure which encompasses state-of-the-art hospitals and healthcare facilities that meet world class standards, there is a growing number of international travellers seeking medical treatment as well as a place for recuperation has become a popular healthcare destination especially for Muslim market of Indonesia, Bangladesh, India and the Middle East. With the increasing awareness and rise in Malaysia’s reputation as a reputable healthcare destination, we also see the arrival of more medical tourists from countries like Australia, New Zealand, the UK, Japan, China and Central Asia. In 2015, medical tourism received more than 850,000 arrivals in Malaysia, spending over RM 900 million in hospital receipts. There are currently more than 250 private hospitals in Malaysia. Among the reasons for foreign patients to choose Malaysia as a healthcare destination is the English speaking medical staff, favourable exchange rates, affordable hospitalisation cost, highly trained medical specialists, multi-ethnic, multi-faith and multi-lingual support staff from various racial denominations, state-of-the-art medical technology, compliance to and accreditation by recognised international standards on quality and safety, and the friendly culture that Malaysia is known for. The reach of Malaysia’s health care services goes beyond medical tourism. Malaysian companies now operate top class hospitals in countries beyond the borders of Malaysia. Malaysian healthcare providers manage and operate hospitals from Singapore to Turkey, building on the highest level of expertise and strategic cooperation in healthcare businesses. Malaysian companies also leverage on cross-border partnerships to streamline a more efficient sourcing and procurement approach for medical equipment and consumables, sharing of project development expertise and manag.ement best practices, consolidation of its marketing programmes, and cross-referrals within the group. 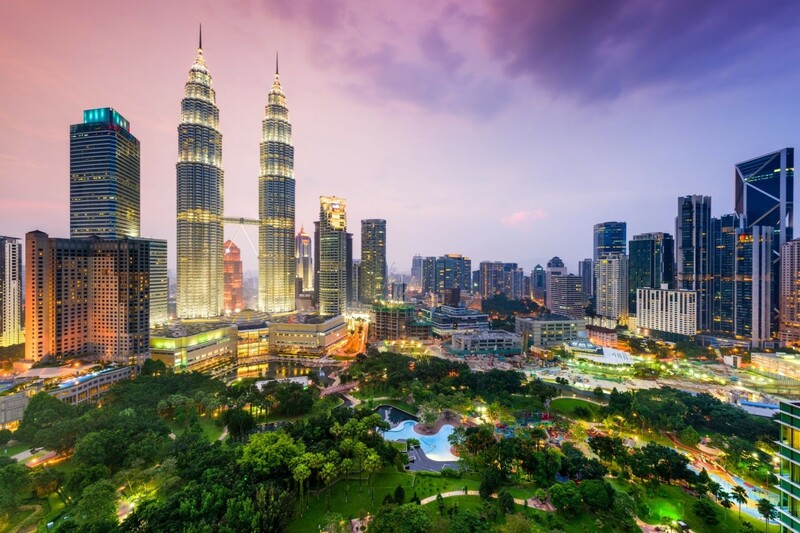 Other key markets that Malaysian companies are operating include hospitals in the People’s Republic of China (PRC), India, Brunei, the United Arab Emirates (UAE), Macedonia and Iraq. Malaysian companies are also much sought after in the international arena for their expertise in health care services. In the area of hospital support services, Malaysia is capable of providing integrated facilities management, biomedical engineering maintenance services, cleaning services, linen and laundry services and clinical waste management services. Such services are rendered internationally, offering professional hospital support throughout the value chain. Malaysia operates under a two-tier healthcare system, consisting of a government-run universal healthcare system (public sector) and a coexisting private healthcare system (private sector). Malaysia has a total number of 356 hospitals (147 public hospitals & 209 private hospitals). Both the private and public healthcare sectors are still gradually expanding in terms of number of hospitals, with an estimated average annual growth rate of 2.4% and 2.6%, respectively. Therefore, the increasing number of healthcare providers provides a growing customer base for Malaysia’s medical devices industry. Besides, an increasing number of private hospitals are participating in healthcare tourism, which is likely to increase the demand for high-value medical devices. As the domestic market shifts to focus more in higher value-added medical devices, it will definitely provide a cost-advantage for both hospitals and manufacturers. Considering Malaysia’s strong track record in electronics manufacturing, it is well-positioned to see a huge growth in its local medical device manufacturing industry. The Medical Device Authority (MDA), a regulatory body created under Ministry of Health (MOH), ensures that medical devices produced in Malaysia are of world-class quality and recognised for their adherence to international standards, as well as global regulatory compliance systems. Over 90 per cent of medical devices manufactured in Malaysia are exported. The industry comprises over 200 manufacturers with implemented investments of RM14.2 billion, making Malaysia an up-and-coming global medical device manufacturing hub. More than 30 MNCs have made Malaysia their offshore manufacturing location, such as Abbott, Agilent, B. Braun, C.R. Bard, Symmetry Medical, Teleflex, Resmed, Ciba Vision, Ambu, Toshiba Medical Systems, and Haemonetics. These MNCs have contributed to the development of a comprehensive local supply chain, benefitting many domestic players. Furthermore, over 50 companies are categorised as Local Large Companies (LLCs), such as Vigilenz, Straits Orthopaedics, Ideal Healthcare, Top Glove, Hartalega and Kossan Latex Industries. The Malaysian medical device industry shows great promise in creating high-income jobs, generating greater export value, and reinforcing the domestic supply chain ecosystem. As the nation moves towards Industry 4.0, the accelerating pace of innovation in the medical devices industry is evidenced by local companies beginning to undertake R&D on incorporating robotics, automation, integrated processes, and IoT into their manufacturing processes. Industry players will continue innovating and revolutionising their product development, manufacturing processes, and business models. With Malaysia’s strong ecosystems in the semiconductor, M&E, E&E, metal stamping, and plastics industries, it is an ideal outsourcing location for the procurement of parts and components when it comes to the manufacturing of medical devices. An area that investors can look into is the production of components and parts related to medical imaging devices, including X-ray machines, computed tomography (CT) scanners, ultrasound and nuclear imaging systems and magnetic resonance imaging (MRI) systems. Local companies such as UWC, Sin Yong Guan Industries, Epsilon, Professional Tools & Dies, and Zeito Plastic Components that provide services to MNCs have acquired advanced technology and knowledge to meet international standards. Malaysia’s medical device market, valued at US$1.4 billion, tops the other countries in the Southeast Asian region. The pace of innovation in the medical device industry will also continue to accelerate thanks to the country’s movement toward Industry 4.0. Industry players must then be willing to shift their mindset, embrace technology, adopt research and development (R&D) methods and keep innovating to keep up with the growth. Malaysia is growing and changing to become a hub for medical device manufacturing, with over 200 medical device companies manufacturing world-class products that adhere to international standards and global regulatory compliance systems. The existence of strong medical device supporting industries, ranging from sterilisation services, precision engineering, machinery fabrication and electronics manufacturing services, has positioned Malaysia as an outsourcing destination and medical device manufacturing hub within Asean. The medical device industry has been identified under the 11th Malaysia Plan as one of the high potential growth industries alongside with aerospace and three other catalytic subsectors, namely chemical, electrical & electronics (E&E) and machinery & equipment to re-energize the country’s manufacturing sector. The availability of these supporting industries has further enhanced Malaysia’s position as an outsourcing destination and global supplier of raw materials for medial devices manufacturers.